The True North is home to some of the best ski slopes, crispiest bacon, and lushest lakes in the world. As the summer humidity arrives and temperatures rise, many Canadians flock to cottages in Ontario to seek refuge from the city heat. Ontario’s cottage country is often referred to as the Malibu of the North. Not only is it home to many cool blue bodies of water but the north also acts as a summer home for many celebrities. 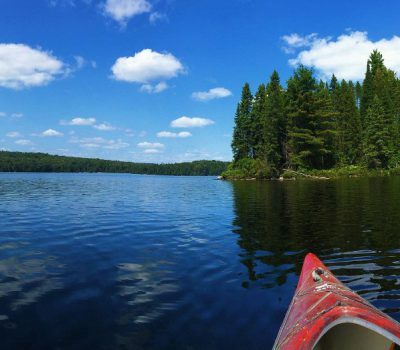 So, if you’re in need of a city escape check out our list of prime Ontario lakes where ‘cottaging’ is done right. 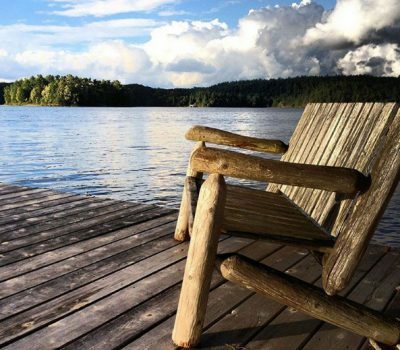 Muskoka is quintessential cottage country and is one of the most popular summer destinations in the province. Muskoka has it all. Beautiful waters, tons of mossy greenery, and a buzzing town life full of restaurants, bars, and spas. Popularity also means noise and lots of it. This cottage destination is great for partying, partaking in water sports, and celebrity spotting, but is not always the best place to escape crowds and noise. Eagle Lake, located in Haliburton, is in many ways the opposite of Muskoka. Eagle Lake has a sense of stillness as no motor boats are allowed in the water. This soothing silent lake is a great place to kick back after a long week of work and enjoy the beautiful sunny skies, milky waters, and surrounding nature. Many choose to partake in water sports such as paddle boarding, kayaking, and canoeing. Sir Sam’s lodge is also a short walk if you’re craving a bite to eat or looking to play some board games by a lit fireplace in the evening. Sandbanks Provincial Park is home to two of the biggest freshwater bay sandbars. This Prince Edward County destination has three beaches which are sure to meet your needs. Outlet Beach is family friendly and great for swimmers. Dune Beach is a popular site for windsurfers and boaters. Lastly, Sandbank Beach offers an secluded paradise. The woodsy trails also offer visitors a peak at some unique ecology. If you’ve ever been on a canoe trip in Ontario, then you’ve probably heard tale of the mysteriously stunning lake with Gatorade Blue waters. Killarney offers a true escape from the city as it is a much greater distance away. However, the journey is well worth it as the show stopping water color makes for amazing pictures and a calming weekend getaway. There are a handful of cottages and small B&Bs to stay at on the lake. No, I am not talking about the salad dressing. In fact the creamy dressing was named after this destination. Appropriately named, over 1,800 islands clutter the Canadian-U.S border along the St. Lawrence River. Visitors often sightsee at the beautiful mansions littered throughout many of the islands. Other activities in the area include golf, dinner cruises, water sports, spas, and cycling. Lake Rosseau is another popular destination and is only 200 km from the city of Toronto. The lake is sandwiched between Muskoka in the south and Sequin to the north. The charming village is home to Windermere House, which has a deep history, and is only a short drive to Port Carling. Like Muskoka, Lake Rosseau is commonly frequented by celebrities who enjoy its charisma and stunning foliage.